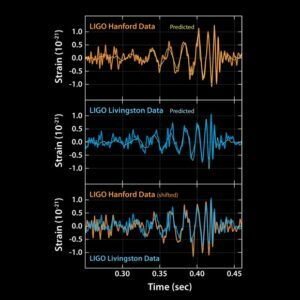 In 2015 scientists at LIGO observed a wave of gravitation—a distortion of space itself that came from two black holes colliding more than a billion light years away. 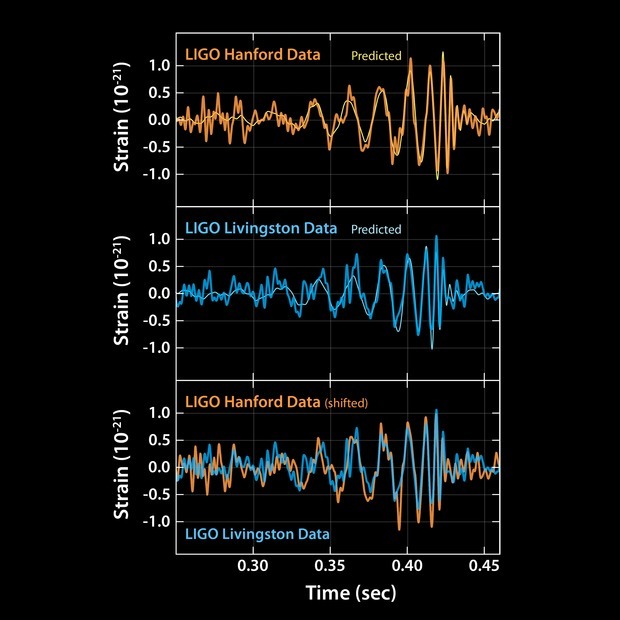 LIGO is a gravity telescope of exquisite sensitivity. Its observation shaped up as the top science story of the century. In record time, this week it nailed the Nobel Prize in Physics. Both the story and the prize offer an important opportunity to dispel some of the worst myths that plague physics. This description follows a widely accepted view of Einstein’s relativity. It speaks of space at ‘the deepest levels of physical reality’ as a void. Physicists are taught to think this way. But it is wrong: Space is not a void; cosmology now knows it to be a massive object. Einstein blazed the true trail in a lecture at Leiden University in 1920. He explained that space is not nothing; it is a specific something. He called it the ether, a concept physics had by then (wrongly) discarded based on a misunderstanding of Einstein’s work on relativity. Physics has mostly ignored his correction ever since. Space’s mass has now been measured with some precision, most recently using data from the Planck satellite. It is much more than the mass of all else in the universe, making it by far the most massive entity that exists. Physics is as much a thing of fashion as any other creative human endeavor. But its fashions tend to last longer than, say, those of clothes. Wrong ideas like the void (a concept that has no physical reality) can dominate beliefs about science for decades or even centuries. They inhibit progress by sending science down intellectual rabbit holes and by blocking new insights, to our great cost. The New York Times’s single-sentence description of the LIGO observation embodies a second fundamental misconception. While Einstein did indeed cast his prediction in terms of space-time (with space and time later becoming so intimately blended that spell-check offers spacetime as a better spelling), space-time is another physics fable that does not exist. At first Einstein was suspicious of space-time; then ardently converted to it; but came to suspect it again late in his life. It is now clear that 3D space is real and it is distinct from time, which is a tall tale physics tells to manage measurements of motion in space. Apart from that it’s hard to validly put space and time in a sentence let alone jam them together in a word. Relativity is a third physics fiction. Like the two mentioned above it has its uses. It is a principle espoused by Einstein, widely understood to mean there is no such thing as absolute motion. Understood this way, it is wrong. In fact, we now can and often do measure absolute motion through space. That vast mass of space—or, if you like, the universe itself—provides an absolute frame of reference; so relativity (as widely understood) is another property the universe does not actually have. 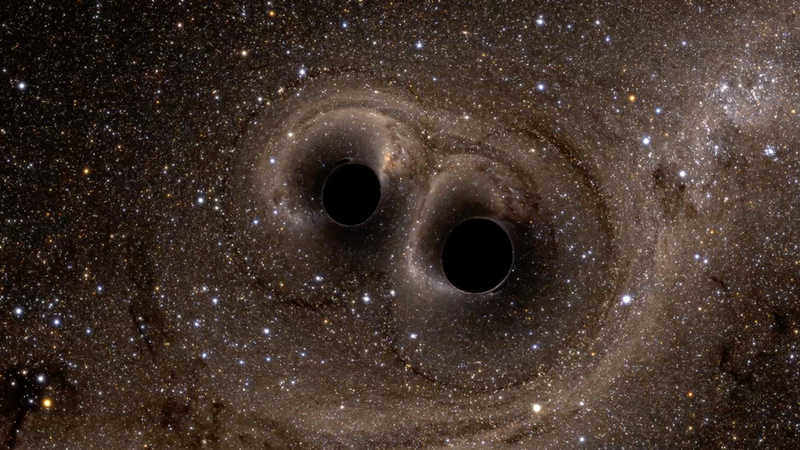 These three fundamental misconceptions now threaten to infect our view of the LIGO triumph. The mental image of the vast mass of space ‘shaking like a bowlful of jelly’ makes so much sense of reality. Yet we are instead asked to visualize a void. A void shaking like a bowlful of jelly? Give me a break. The first observation of distortion of space offers a powerful teaching opportunity. A real mental image could inspire an entire generation of physicists. Readers who like this might also like: Physics has long been confused about the concept of “now”. New insights show that it is fundamental.